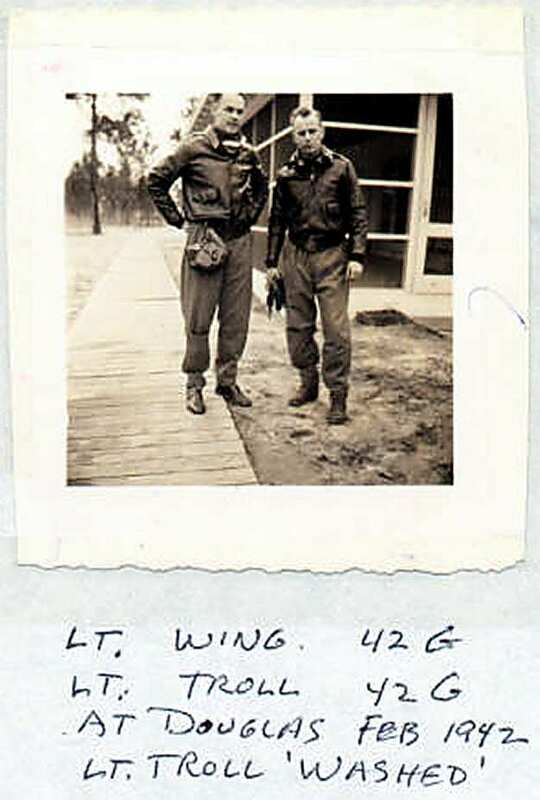 Click here for his service, awards, and Missing Air Crew Report. Washed out at Douglas and returned to Maxwell Field. Paul Schlundt was his instructor. Graduated Primary Mar. 12, 1942. Had Basic at Shaw and Advanced at Spence Field, Moultrie, Ga. S/N: O-791105. He was a member of the 79th Fighter Grp 87th Fighter Sqdn and a POW in Stalag 7A after being shot-down on March 29, 1943. He went to England in the spring of 1943 with the 399th Bomb Group. His B-17 was shot down by fighters over Hamburg, Germany on June 25, 1943. Three of his crew were wounded and two killed. 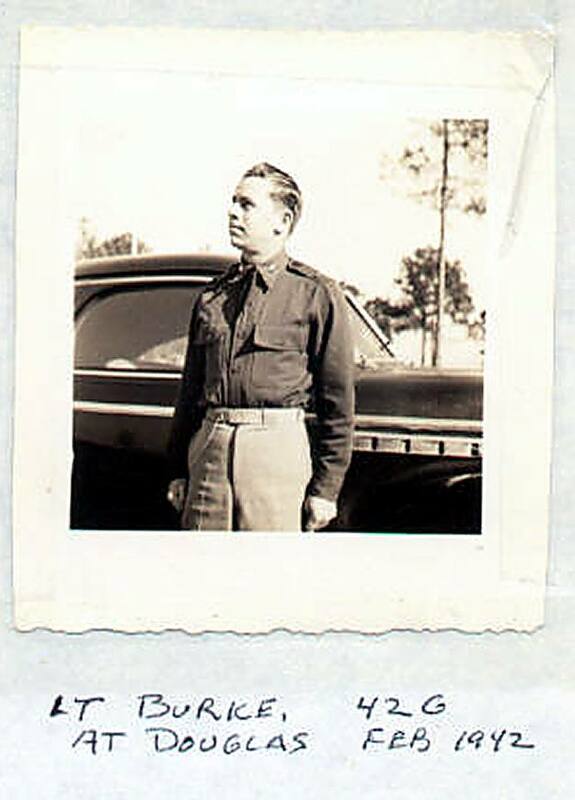 He was in Stalag Luft #3 until liberated by Patton in May 1945. Click here for more information. Paul Schlundt was his instructor. Washed out at Douglas. Probably 1st Lt. Michael LaPorte S/N: O-791123 (MIA / KIA) in a B-17E while flying for the 5th A.F., 43rd Bomb Group, 65th Bomb Squadron (H). Took off from 7-Mile Drome at Port Moresby on Sept. 2, 1943, one of twelve attacking Cape Gloucester Airfield, New Britain Island. Numerous Japanese fighters intercepted the formation. This bomber was lost, but there were no witnesses to the loss. The plane had to fly at 5,000 feet to drop their bombs. When last seen they were flying directly toward a mountain 7,000 feet high that was to the left of the target. “The weather was such that the men flew blind without even knowing when they crashed.” The 43rd Bomb Group records state “subject aircraft missing on a mission over Lae”. The entire crew was declared dead on January 14, 1946 and are memorialized on the tablets of the missing at Manila American Cemetery. Later was in B-26’s at McDill Field in Tampa. Washed out at Douglas. Returned to Maxwell. Washed out at Douglas. Click here for a picture of him at Douglas. Possibly the same person as William G. Williams who was in the 319th Bomber Group, 440th Bomber Squadron flying a B-26 (S/N: 41-34874) shot down 03/02/44 by fighters and ditched in the Mediterranean. 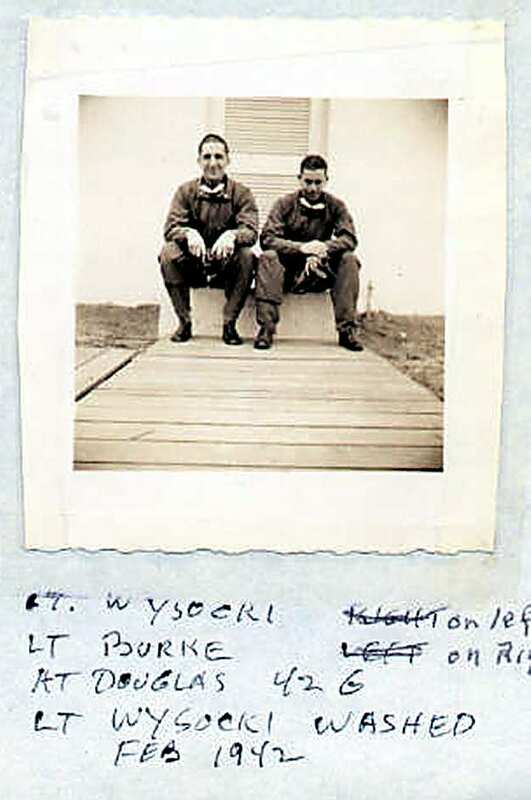 Survivors were pilot Lt. Daniel H Callihan, co-pilot Lt. William G. Williams, and engineer-gunner Joseph E Rafferty. Losses: bombardier and 2 gunners.